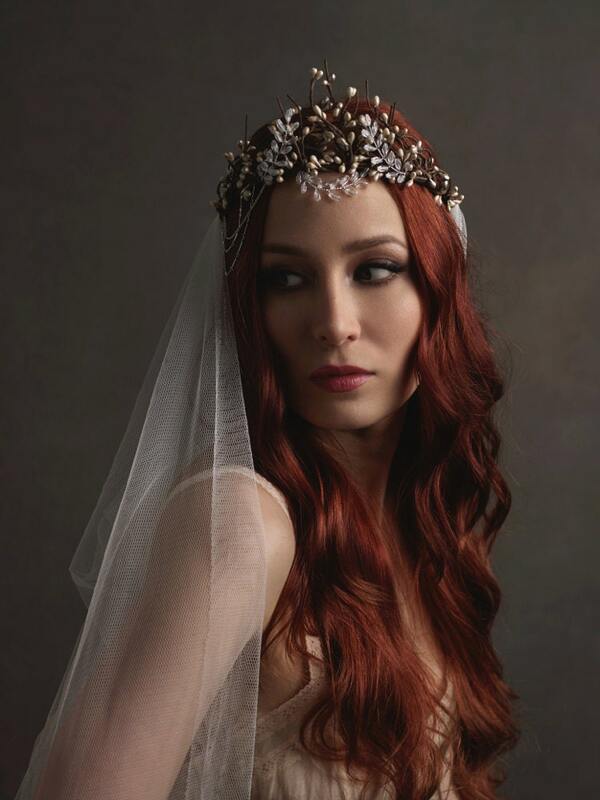 Lady of the Lake features a crown of crystals and chains accentuated by a flowy draped veil. 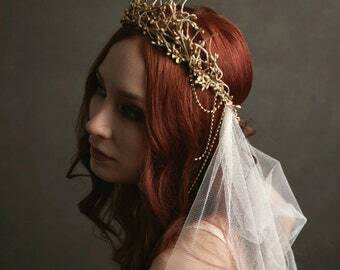 The headpiece consists of interwoven twigs with rustic champagne pips. 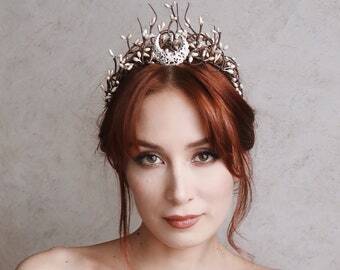 Crystalline ferns decorate the front of this headpiece and a delicate silver chain cascades to the side. 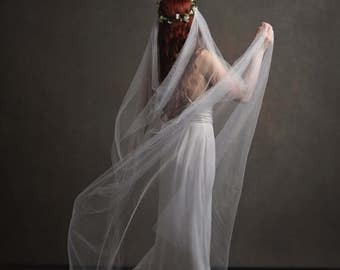 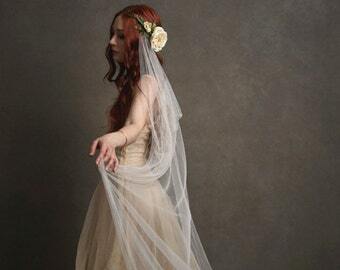 Attached in an elegant drape to each side is the softest antique veiling, left long and flowing to trail behind.